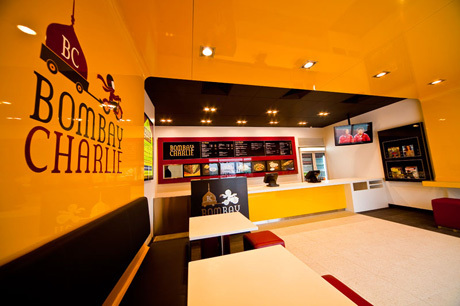 Bombay Charlie�s is a new and exciting chain of home delivered and takeaway Indian quick service food. Determined to make a lasting impression, the new venue has proven an immediate success. 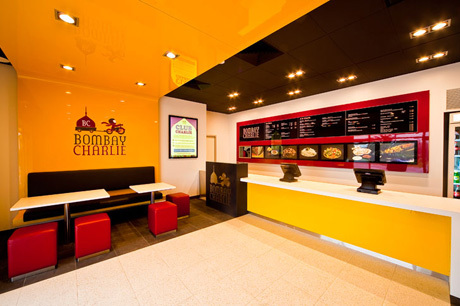 The interior environment features dramatic form and bold use of color to define seating zones and signage. The �less is more� approach to the use of colour not only creates great impact, but unashamedly defines the corporate branding.